You Say and We Do! 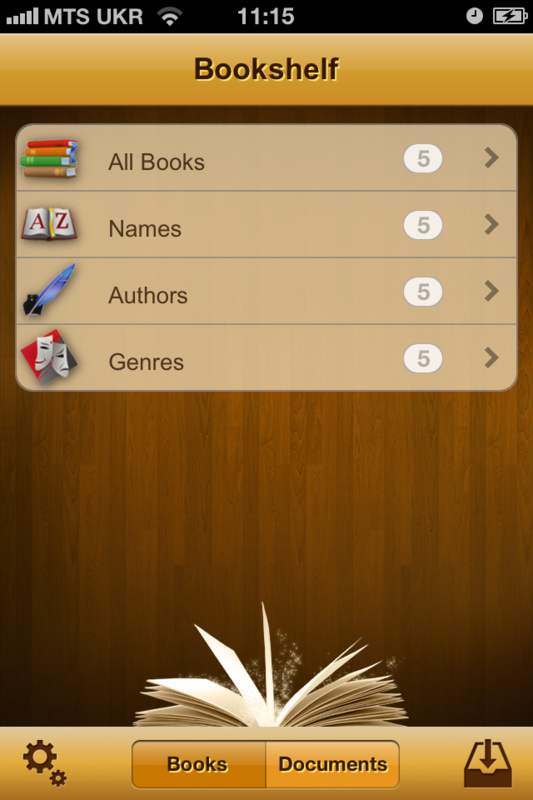 New uBooks 2.4.2, iPhone e-book reader app that took a fancy to many of you is already released and ready for download! 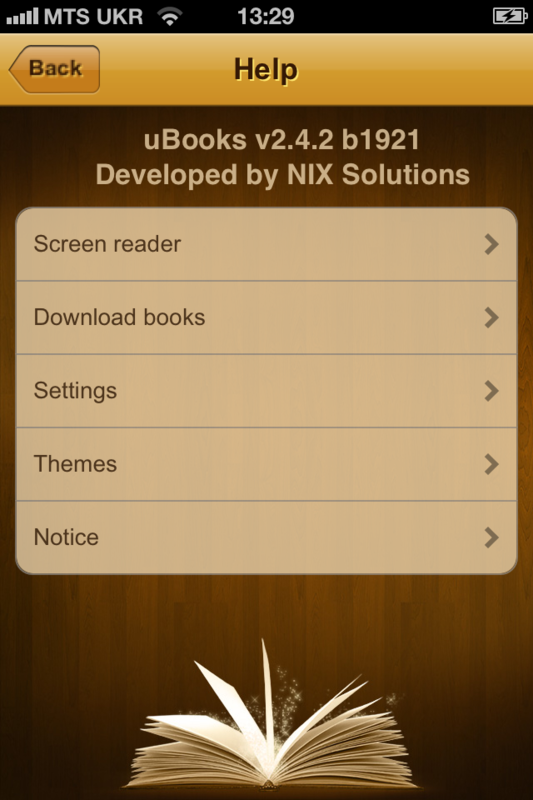 Having carefully considered opinions and ideas you post in our blog, we implemented the best solutions in uBooks 2.4.2. From now on, it’s even more reliable, convenient, and stylish than before! Now you can download books in zip. and epub. via integrated mini-browser. 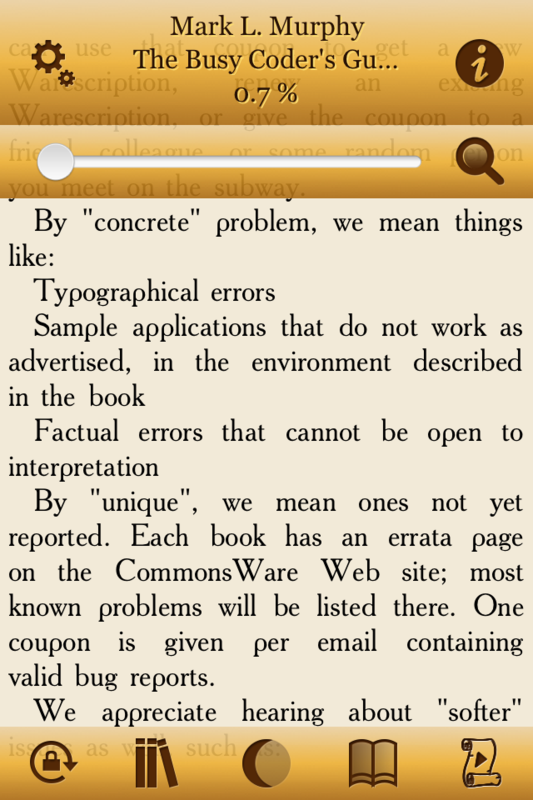 With mini-browser it’s also possible to download books in formats of html, txt, and fb2 to iPad and iPhone. Now Bookshelf area consists of two sections – Books and Documents. Section of Settings has been conveniently reorganized according to their type. You can find groups of separate functions for reading window settings and for interface adjustment. uBooks 2.4.2 allows you to select a theme for the application. There is a new theme, which cannot be removed. To edit existing theme, you first need to duplicate it. Newly added background textures will flavor your personal themes with a bit of style. You can also change background in the copies of existing themes if you need. For those of you who prefer style of simplicity and minimalism the old grey theme is available by default. It is also possible to choose Night or Day mode to make your reading comfortable. Moreover, you can adjust the design for both modes. 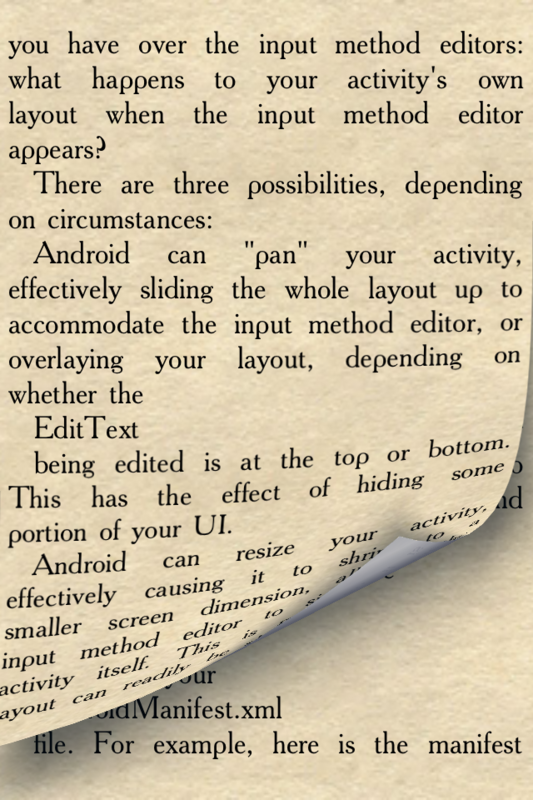 Curl animation feature makes pages turn over like in real paper books. From now on, you can create your own themes for uBooks – 1 theme for a free version and unlimited amount for the app you buy. Do not upload extremely big documents! It’s very likely they will not open at all or will get closed during the viewing. In this case the app will message with: “Not enough memory for document viewing”. Some .rtf files and images cannot be downloaded to the app form the minibrowser. However you can open them in your browser. It depends on the settings of the site from where you try to download the file. Translation function is back in the new version! The problems in the previous version have been related to Google’s decision to close Google Translate API for third-party software developers. After a long search for alternatives, we opted for Bing Translator. Now the translation function processes the short parts of text much better with the length up to 140 symbols – the amount most requested for inline translation. Also it provides better performance for the Spanish, German and Italian languages. If you are ready to install and use on your iPhone this reader app, we’ve already prepared some useful tips on the following subjects: How to create my own theme? How to edit the theme? How to copy the theme? How to delete the theme? How to set up themes for day and night modes? How to set up curl animation? How to change reader background? How to Create My Own Theme? First of all, we should mention that in free version you can create only one theme, while in full version the number of themes is not limited. Tap Settings icon in the lower left-hand corner of Bookshelf Screen. In Additional Features tap the button Themes. 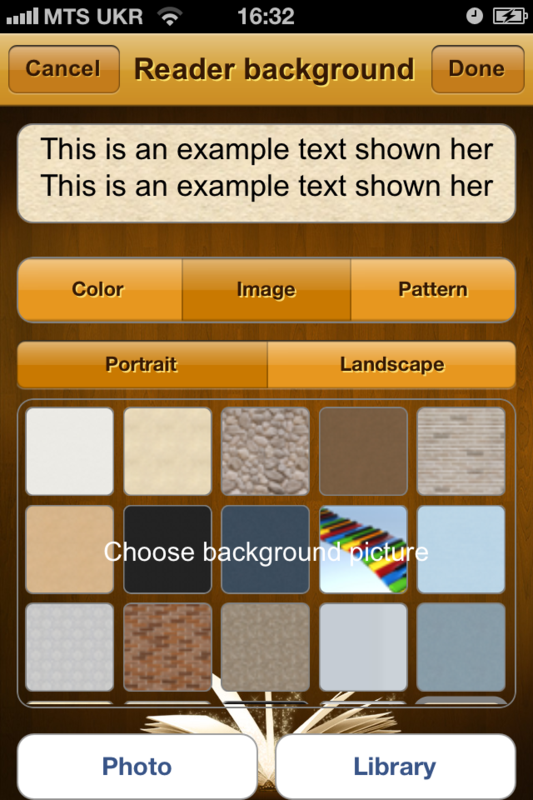 Enter a title for your theme instead of the standard title New Theme and tap Enter and Save. In menu Bars you can set the color for text and background of the buttons. After you have chosen the colors tap Done. 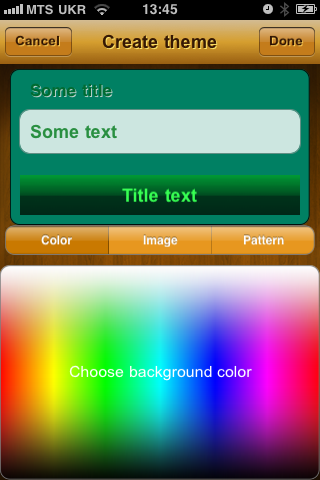 In menu Screen Appearance you can set the color of text inside cells, background color of cells, and color of text in headings. After you have finished tap Done. In menu Font Family choose the typeface you like. You can see text in example area changing when you tap on a font from the list. After you have finished tap Done. Background menu contains a set of textures that can be used as background for your theme. It is possible to take a picture with the camera and use it as background as well. You can also choose a color if you are not interested in pictures. It is important to remember that themes for Portrait and Landscape should be adjusted separately. If you set the theme up only in Portrait view, then in Landscape you will see default background colors. After all changes are finished tap Save. Tap Back to return to the list of Themes. How to Edit the Theme? Tap Settings button in the lower left-hand corner of Bookshelf Screen. Choose the theme which you want to edit and tap the icon with a pencil on the right side to edit the theme. Enter a title for your theme instead of the old one, tap Enter and Save. How to Copy the Theme? Choose the theme which you want to copy and tap the icon with a white paper sheets on the right side to copy the theme. It may take up to 1 minute as it copies all the settings of the theme. After the process of copying is finished you will see the Screen Appearance menu for editing the new theme. Enter a title for your theme instead of the old one and tap Enter and Save. If you don’t give a new name to the copied theme it automatically will get the title of the source theme with figure 1 added. How to Delete the Theme? To delete the theme you just swipe it with your finger from left to right and the button Delete will appear. How to Set Up Themes for Day and Night Modes? 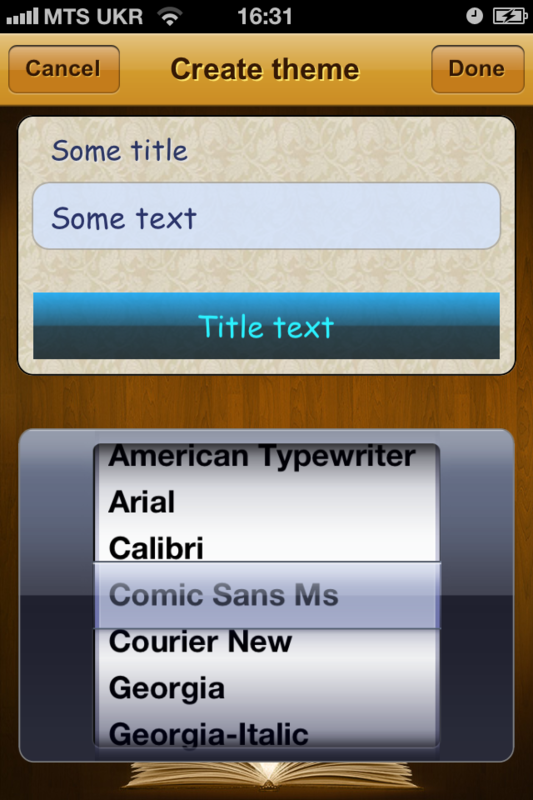 In Additional Features tap the button Themes and you will see the list of themes. On the right from every theme there are two icons. If you tap the icon with the sun you will assign the theme for the day mode, while the icon with the moon assigns the theme for the night. 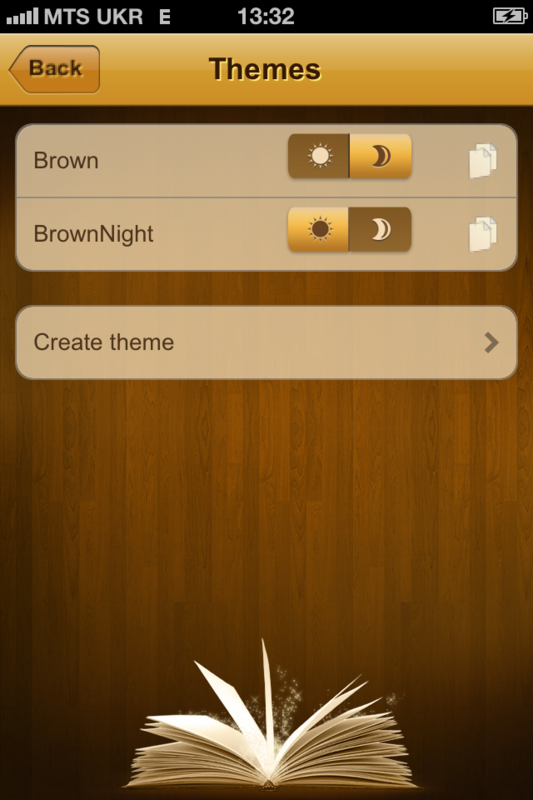 We strongly recommend selecting different themes for day and night modes. If you choose one and the same theme for both modes then day mode will coincide with night. How to Set Up Curl Animation? Try and turn over the page of a book to see what has changed. How to Change Reader Background? Choose the theme where you want to change Reader Background and tap the icon with a pencil on the right side to edit the theme. Scroll down and tap Reader Background. 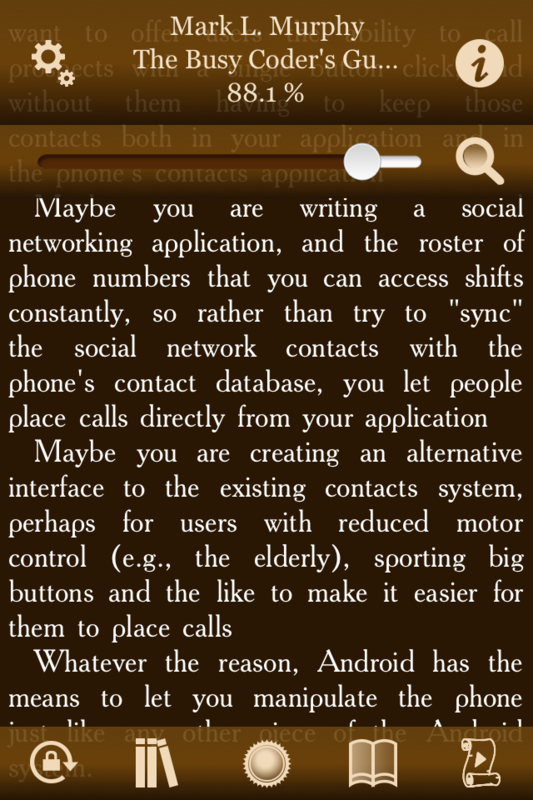 Tap button Background on the Reader Background screen. Choose color, image from the library, texture for your reader background. Tap the button Done in the upper left-hand corner.